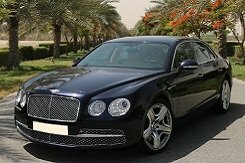 Rent one of the chic Bentley in Dubai and enjoy luxury, power and maximum comfort behind the wheel of a handsome man. The English car is good for everyone: it is perfectly controlled, instantly gaining speed, it amazes with its chic and comfortable salon. 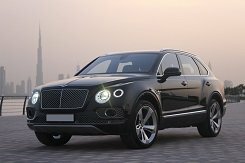 Rental Bentley Bentayga - a powerful crossover with a good makings of an SUV. It is not inferior to comfort and controllability to its fellow-sedans. 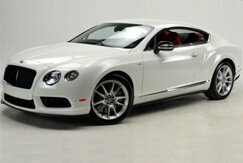 In the rental you can take the most popular model Continental GT in three different colors: black, white and red. 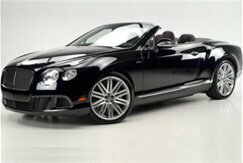 All Bentley models are equipped with powerful W12 engines from 600 hp. Front seats in all models Bentayga, Continental GT and Flying Spur are equipped with massage, ventilation and adjustable pumping in 11 directions. Everything is organized for comfort.